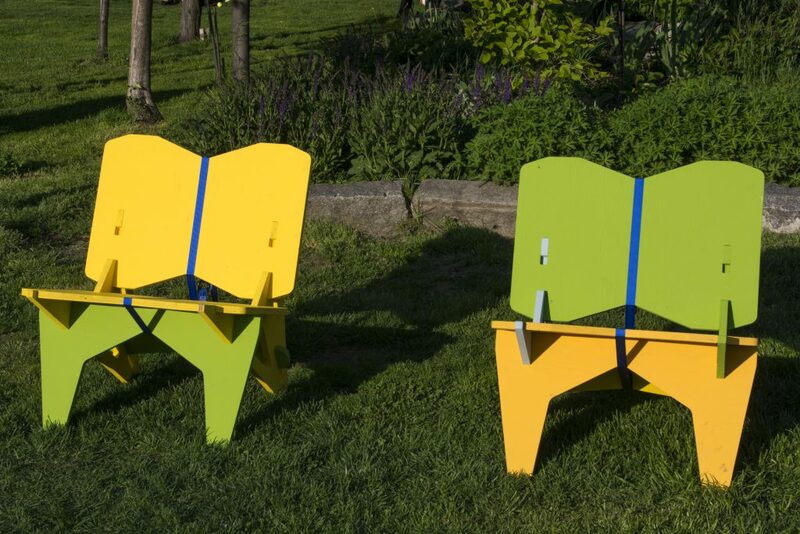 Socrates Sculpture Park produced this series of fifty ratchet strap chairs, designed by Jonathan Odom, to celebrate the park as both a social space and a place for making. 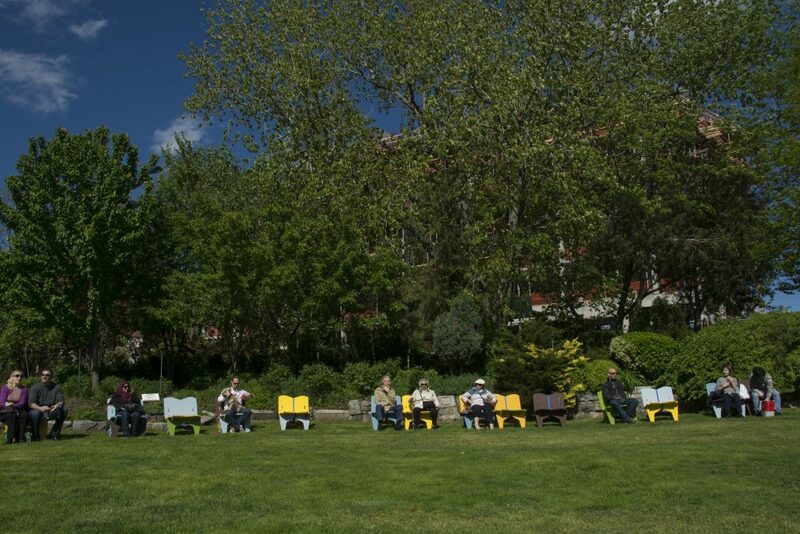 Open Seating is both an amenity for park visitors and a platform for community building. 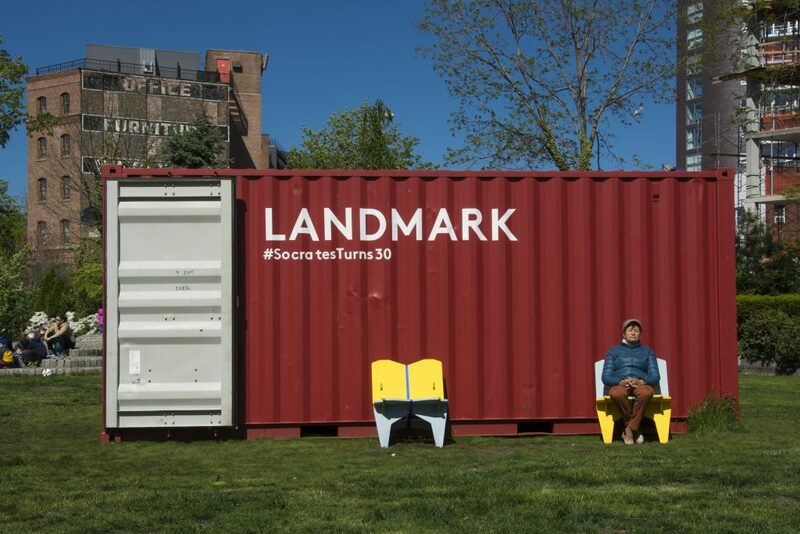 The Open Seating project highlights Socrates Sculpture Park as a social space, as well as a place of relaxation and leisure. Blueprinted by Jonathan Odom for open design DIY website Instructables and painted by volunteers, staff and youth participants in the park’s education programs, the project resonates with the culture of making embedded at Socrates. 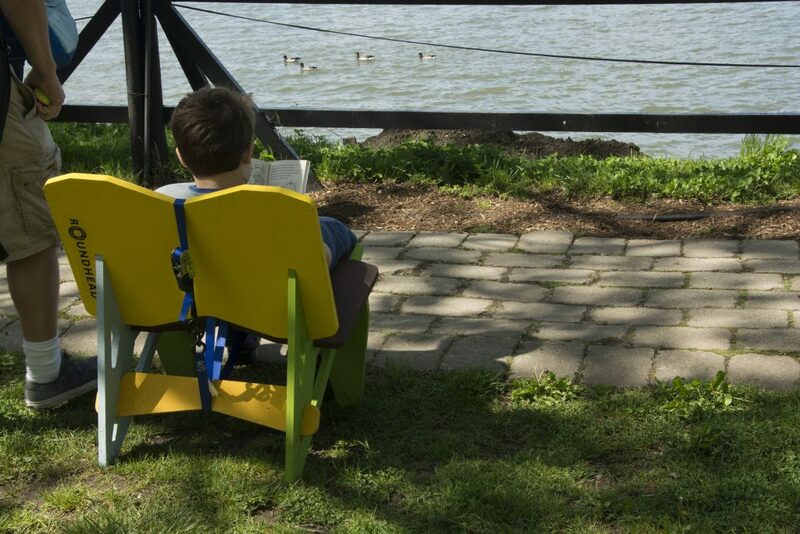 Dispersed throughout the park, the chairs create a platform for visitor interaction and underscore the park as a communal, restorative, public space. 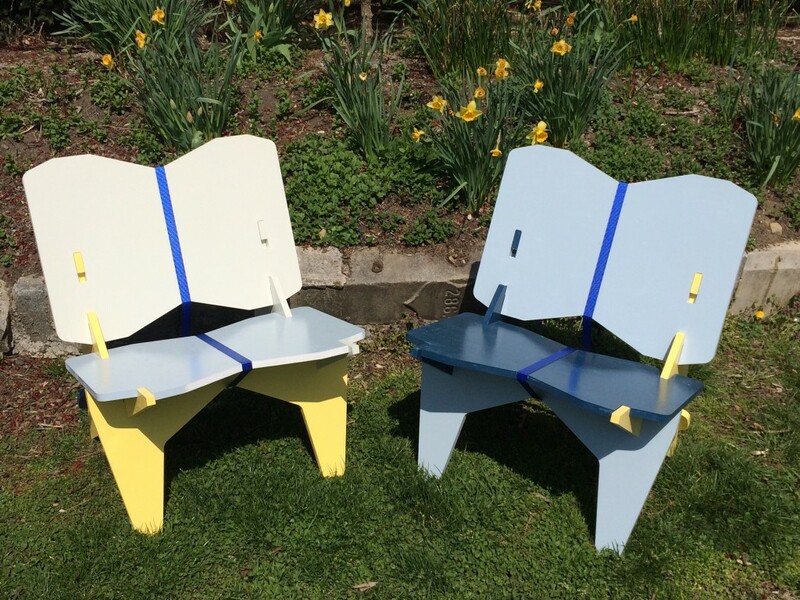 Image credit: Jonathan Odom, Open Seating, 2016. Installation view. Courtesy Nate Dorr.